Calvert Aquatics Club (“CAC”) is seeking applicants for two Assistant Coaches - (1) Age Group Coach for ages 8-12 and (1) Junior & Senior Silver Coach for ages 12-18. CAC is a club with 130+ student-athletes, ranging from Novice to Future qualifiers. Located in Prince Frederick, MD, the county seat of Calvert County, CAC is one of the up & coming young clubs in the region. Our close proximity to the Washington, DC metropolitan area results in a steady influx of families for a moderate cost of living & a reasonable commute up to DC-area jobs; an exceptional opportunity to grow the club is the net result. Bordered by the Chesapeake Bay to the east and the Patuxent River to the west, there is no shortage of year round outdoor activities in Southern Maryland. CAC is based out of the Edward T. Hall Aquatic Center, an indoor 50M pool which opened in 2010, and is conveniently located just off Route 4, the main north/south thoroughfare in Calvert County. CAC is a year round, USA Swimming club, providing on-deck dry land training, morning and afternoon practices, swim meet hosting abilities, long course training in the summer months and is supported by a volunteer parent board, as well as 2-3 assistant coaches. CAC is looking for an enthusiastic coach who is eager to play an integral part in the development of our athletes. The assistant coach position will oversee all aspects of their respective programs, including management and running of daily practices all the while supporting the coaching philosophy and direction of the program as established by the head coach. Assistant coaches report directly to the Head Coach. The positions are paid hourly and require approximately 15-18 hours of on deck coaching per week and 1-2 weekend meets per month. The Assistant Coach responsibilities include, but are not limited to: Oversee & manage daily practices including in-water and dry land training Oversee the development and progression of swimmers including communication with swimmers and parents Instruct proper swimming concepts & techniques Create a positive team atmosphere, helping athletes reach their individual potential Meet with Head Coach to outline developmental progressions, practice sessions, meet schedules, and to discuss any concerns or opportunities. The input of meet entries and communications for meets within given group Administrative duties as needed. The ideal candidate will possess: Previous coaching experience with a strong understanding of youth development ASCA level 1 or higher USA member Swim Coach in Good Standing All appropriate & valid licenses/Certifications/Registrations for USA Swimming Safety Training & Background Certifications for Swim Coaches Red Cross Lifeguard and First Aid Red Cross CPR-PR/AED Ability to work with all levels: beginners to competitive swimmers Ability to communicate well with coaches, swimmers, & parents Positive attitude & willingness to learn This position is open effective August 1, 2019. Application deadline is May 1, 2019.references and salary expectations to resumes@calvertaquaticsclub.org . All applications are handled in confidence. CAC is an equal opportunity employer and does not discriminate on the basis of age, gender, race, ethnicity, religion or sexual preference. If you’re looking for a great opportunity to work with outstanding families, grow a solid local club into a regional force, and develop your coaching skills, CAC is looking forward to hearing from you! All qualified candidates are encouraged to apply. Please submit resume including references and salary expectations to resumes@calvertaquaticsclub.org. All applications are handled in confidence. CAC is an equal opportunity employer and does not discriminate on the basis of age, gender, race, ethnicity, religion or sexual preference. If you’re looking for a great opportunity to work with outstanding families, grow a solid local club into a regional force, and develop your coaching skills, CAC is looking forward to hearing from you! Calvert Aquatics Club (“CAC”) is seeking applicants for its Head Coach position. Located in Prince Frederick, MD, the county seat of Calvert County, CAC is one of the up & coming clubs in the region. Our close proximity to the Washington, DC metropolitan area results in a steady influx of families for a moderate cost of living & a reasonable commute up to DC-area jobs; an exceptional opportunity to grow the club is the net result. Bordered by the Chesapeake Bay to the east and the Patuxent River to the west, there is no shortage of year-round outdoor activities in Southern Maryland. CAC, founded in 2015, is a MD LSC club with 130+ student-athletes, ranging from Novice to Future qualifiers. We are seeking a career minded coach who can build upon this foundation and bring the club to even greater heights. Based out of the Edward T. Hall Aquatic Center, an indoor 50M pool which opened in 2010, and is conveniently located just off Route 4, the main north/south thoroughfare in Calvert County. CAC is a year-round, USA Swimming club, providing on-deck dry land training, morning and afternoon practices, hosts MD/USA swimming sanctioned swim meets, long course training, and is supported by a volunteer parent board, as well as 2-3 assistant coaches. The head coach is expected to be a career coach (ASCA Level 3 or higher preferred, but all levels are strongly encouraged to apply), do the bulk of the administrative work, communicate well with all coaches, athletes & parents, and be the “face of the program” to the Calvert County community. 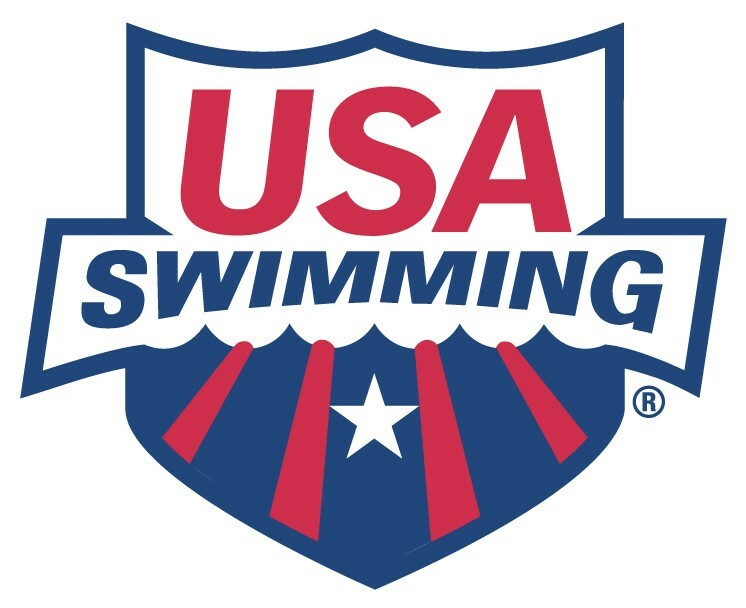 The Head Coach responsibilities include, but are not limited to: Oversight of all swim operations, including regulatory compliance, safety, discipline, ensuring an effective - efficient swim staff roster. Management of team and supervision of coaching staff, including coach mentorship, training and development, oversight, and standards. Direct coaching of swimmers in the Senior and Junior Levels and other swimmers as needed Key advisor to the Board to fulfill the strategic plan and mission. Work with board to develop annual swim operations budget and forecast expenditures. Plan & organize annual swim calendar including swim meet selection. Plan hosted meets with swim meet task force Provide for staff needs Provide for appropriate placement, mentoring, development, and feedback of athletes Coordinate training schedules, group placement and advancement guidelines Communicate with team members and families via group meetings, newsletters, email, website and individual meetings Work with the local high school coaches and summer league coaches to recruit new athletes for future growth Participate in the local swim committees (LSC) of USA Swimming Assist with additional practices, fundraisers, team social events Assist with marketing Enforce rules and regulations of MD LSC and USA Swimming Other tasks assigned by the BoardThe ideal candidate will possess: 3+ years experience as a Head Coach or Head Assistant Coach of a USA Swimming affiliated club USA member Swim Coach in Good Standing All appropriate & valid licenses/Certifications/Registrations for USA Swimming, ASCA ASCA Level 3 Certification or higher Experience with Team Unify software Safety Training for Swim Coaches certifications Red Cross Lifeguard and First Aid Red Cross CPR-PR/AEDThis position is open effective August 1, 2019. Application deadline is May 1, 2019. references and salary expectations to resumes@calvertaquaticsclub.org . All applications are handled in confidence. CAC is an equal opportunity employer and does not discriminate on the basis of age, gender, race, ethnicity, religion or sexual preference. If you’re looking for a great opportunity to work with outstanding families, grow a solid local club into a regional force, CAC is looking forward to hearing from you! All qualified candidates are encouraged to apply. Please submit resume including references and salary expectations to resumes@calvertaquaticsclub.org. All applications are handled in confidence. CAC is an equal opportunity employer and does not discriminate on the basis of age, gender, race, ethnicity, religion or sexual preference. If you’re looking for a great opportunity to work with outstanding families, grow a solid local club into a regional force, and develop your coaching skills, CAC is looking forward to hearing from you!